Explore this page to learn more about what you heard on Sidedoor, a podcast from the Smithsonian. Make sure to subscribe and write a review on iTunes! New episode every other Wednesday. We weren't kidding. On June 8, 1959, the US Navy fired a Regulus I missile from the USS Barbero (SSG-317) and directed it to land at the Naval Auxiliary Air Station at Mayport, Florida, near Jacksonville. While the sub was docked at Norfolk, Virginia, Postmaster General Arthur Summerfield helped place two blue and red metal containers, holding 3,000 letters, inside the sub's missile prior to the flight. Check out a video of the experiment, courtesy of British Pathe. Having a blast? 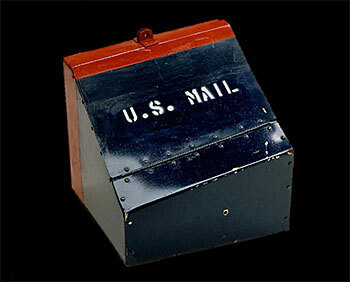 Learn more about the wacky history of missile mail from the National Postal Museum. 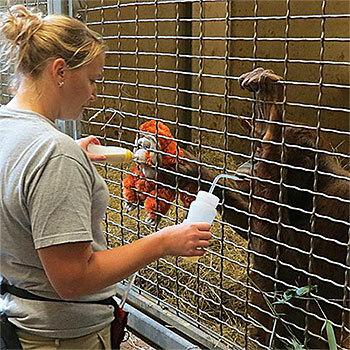 Batang is officially a mom! Meet Redd, her adorable and healthy son. 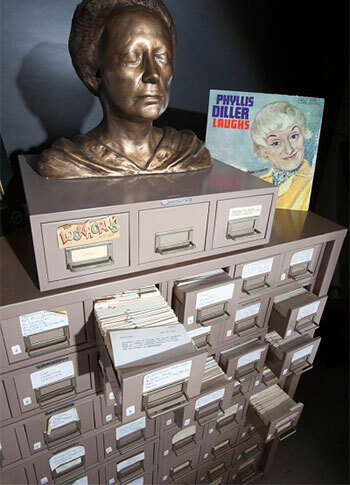 This isn’t just any file cabinet—it’s what Phyllis Diller called her “Gag File”. As explored by Megan and Tony, it houses 48 drawers containing more than 50,000 3-by-5-inch index cards, each bearing a typewritten joke or gag that Diller used in her stand-up routine. Want to learn more about the hilarity and history of Diller’s impact on comedy? Check out this digital exhibit about Diller by the National Museum of American History.